The Dutch referendum on an EU trade treaty with Ukraine is not just a matter for Netherlands or Ukraine. "It has an impact on Europe and the world as well”, one of the lead voices in the Yes campaign, Michiel van Hulten told EUobserver. That is why Van Hulten thought it was quite normal that European Commission president Jean-Claude Juncker voiced his opinion on the referendum in January, even though Van Hulten was “not sure that the way he phrased it was most helpful”. Juncker said the Dutch would create a “continental crisis” if they voted No, a remark for which he was criticised as meddling in Dutch affairs. "He got a bit carried away”, said Van Hulten in an interview earlier this month. But at the same time, he added, “we shouldn't be too uptight” about who is allowed to speak out in the referendum campaign. Van Hulten himself is a former member of the European Parliament (1999-2004) for the Dutch centre-left Labour party. He now works as an independent consultant in Brussels “on issues of democracy, transparency and accountability”. The Dutchman said he got involved because he knew and cared about Ukraine, and because Ukrainians “share European values”. “I was concerned last year that there was no action happening on the Yes side in this referendum debate,” he said. The vote will take place thanks to a new referendum law that came into force in the summer of 2015. 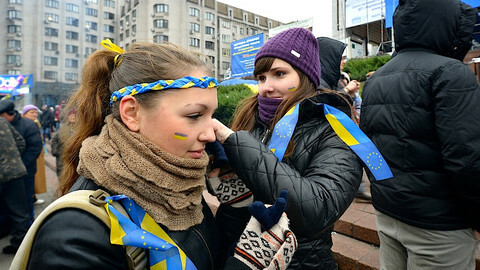 Activists who were mostly opposed to the EU-Ukraine association agreement gathered enough signatures to force the poll. “It was very clear that the No campaign was already very well advanced and very well organised, but very little was happening on the Yes side,” Van Hulten said. Following the new rules that allow citizen-backed referendums, some groups aimed at an EU-related issue to inaugurate it. 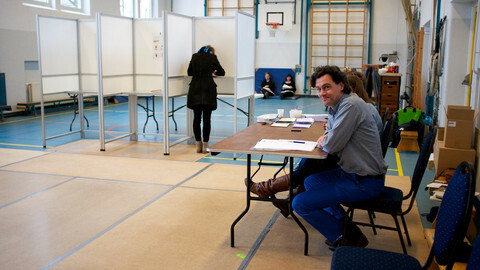 The first laws that qualified for such a vote were the Dutch parliament's decisions to ratify the EU association agreements with Ukraine, Georgia, and Moldova. “I think they picked it because it's the best-known country. It's the country where the tension between Russia and the European Union is most present. 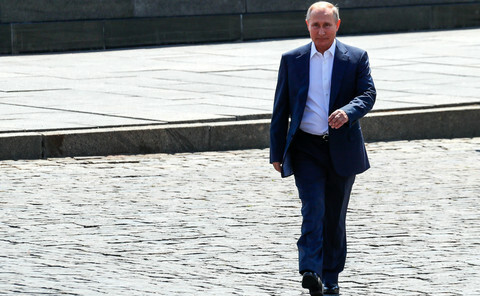 And it's also of course a country where there is a connection because of MH17,” he said. Flight MH17 was travelling from Amsterdam to Kuala Lumpur when it was shot down over Ukraine on 17 July 2014. More than 193 Dutch people were among those killed. With the criminal investigation over who shot down the plane still ongoing, Van Hulten was careful not to say too much about the topic. “Anything you say about that can be interpreted as an attempt to use it in the campaign in one way or the other,” he said. For Van Hulten, the benefits of the agreement - and the reasons to vote Yes - are clear. “We are a trading nation, a country that has become big with trade. We still rely heavily on international trade, and this treaty is above all a trade treaty,” he said. “But it's also important because of our stability. There is obviously a conflict going on in Ukraine right now. Ukraine is the victim of Russian aggression,” he said. 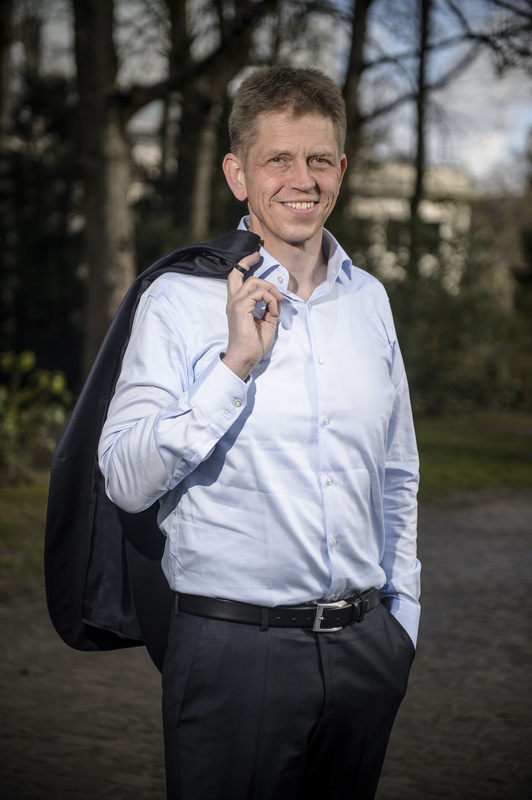 Van Hulten has asked people to “take a level-headed, pragmatic view”. But he said he’s mostly heard scaremongering from the No side. “I hear them say: If we vote in favour, then Ukraine will join the European Union,” he said. But he said he was impressed by the quality of the Dutch debate so far. “The No camp is not succeeding in making this debate about [domestic politics in] The Hague, or about Brussels,” he said. He said the gap between No and Yes in opinion polls is narrowing. “It's important to bear in mind that for most people, the campaign hasn't even started yet,” he said. Van Hulten hopes that as many people as possible go out and vote, whether they are in favour or against. Some have suggested that people should stay at home if they favour of the treaty,because if less than 30 percent of voters show up the referendum will not be valid. But Van Hulten said that would be “a very risky strategy” because national votes have always yielded turnouts above 30 percent. And what if there is a No vote? 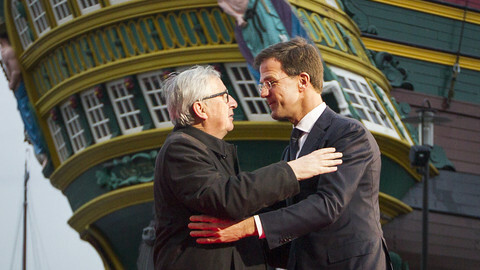 The referendum is non-binding so, in theory, the Dutch government could ignore the result. But a big win by the No side would put it ina difficult political position. The Dutch referendum on the European Constitutional Treaty in 2005 was also non-binding. But the overwhelming No vote prompted The Hague to fall into line. “I think the government should make it clear that if there is a majority one way or the other, that they would follow that advice,” Van Hulten said. “Yes, it's a consultative referendum, but in practice it is very hard to persuade voters to vote Yes or No, and then to also say: ‘Well, we may ignore what you decide'. That's perhaps a weakness in this referendum law,” he said. The referendum law arranged for €2 million in government subsidies to be distributed among initiatives that stimulate public debate. Van Hulten's foundation Stem Voor received €50,000, which it will spend on radio commercials. It also received €200,000 from Hungarian-American billionaire George Soros' Open Society Foundations (OSF). “We're very proud of that. OSF has a long track-record of campaigning for [and] funding activities which promote democracy and human rights in Europe and beyond,” Van Hulten said. He dismissed allegations by the No side that Soros gave the “foreign money” because he would benefit financially from a Yes outcome. “We've been transparent about the fact that our foundation has received this money. 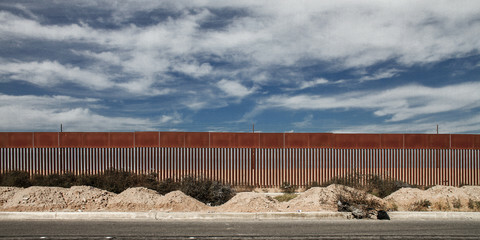 I don't see transparency on the other side,” he said. Van Hulten is spending the OSF money mostly on his staff of seven people. “If you want to run a professional campaign, you have to hire professionals,” he said. 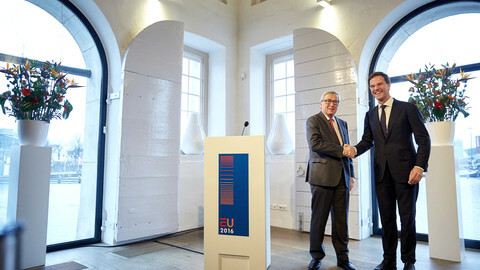 Van Hulten welcomed foreign politcial intervention such as Juncker’s. He said he had no objections to British eurosceptic MEP Nigel Farage campaigning for the No team in Amsterdam. “We shouldn't be too uptight about what is allowed and what is not allowed in terms of debate,” he said. “If there are voters who want to believe in Mr Farage, let them." 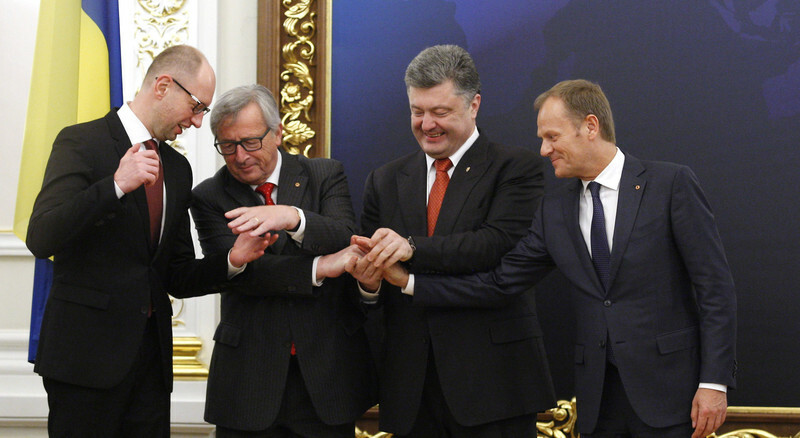 Juncker also appears to have few inhibitions. 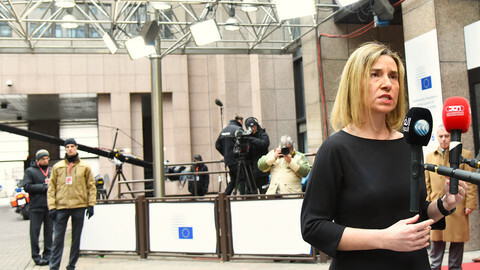 One day after this website's interview with Van Hulten, Juncker said in a speech in The Hague that “half of the Dutch press” had attacked him for speaking out. “I'm not coming to the Netherlands to say: look, Netherlands, listen, now you will do it like this and that,” said Juncker. “But, people should know that this is a serious matter. If the Dutch vote No, then we have a problem in Europe. That problem is called destabilisation,” he said. On 6 April Netherlands will hold a referendum on the EU-Ukraine association agreement. Because many voters feel that it could lead to Ukraine membership of the EU, the EU should rule that out, argues Dutch politician Sammy van Tuyll.